2. How Much Tax Credit for Donating a Wheelchair? When you file your taxes, most people prefer to pay as little as possible. While the Internal Revenue Service will come after you for unpaid taxes if you don’t report all your income, the IRS won’t search you out to give you a refund if you don’t claim all the tax deductions that you’re entitled to claim. As a result, it’s important to learn how tax write-offs work and to know what you can and can’t write off to lower your tax bill. When you know how deductions work, you can plan at least some of your expenses to maximize your income tax savings. A tax write-off means an expense that you pay that you can use to reduce your taxable income when you file your tax return. Different tax write-offs have different eligibility requirements, so just because you incurred the expense doesn't mean you'll save money on your taxes. Tax write-offs fall into two main categories: adjustments to income and itemized deductions. Adjustments to income refer to deductions that you can claim on your taxes regardless of whether you claim the standard deduction or not, making them the more favorable type of deduction. Itemized deductions are tax write-offs that you can only claim if you give up your standard deduction and instead claim the sum of your itemized deductions. As a result, itemized deductions only save you money on your taxes if the total exceeds your standard deduction. In 2018, the standard deduction is $12,000 if you file as single or married filing separately, $18,000 if you file as head of household and $24,000 if you file as married filing jointly. 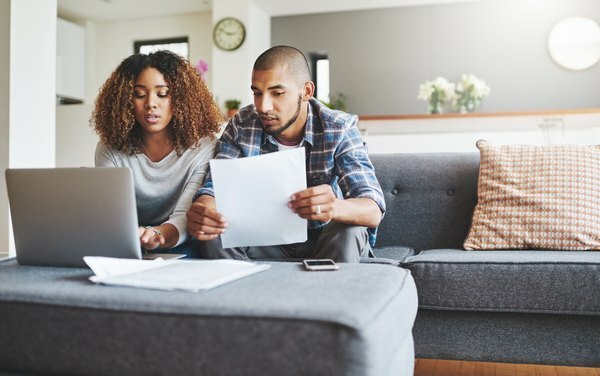 Adjustments to income, sometimes called above-the-line deductions, are better than itemized deductions because you can claim adjustments to income without giving up your standard deduction. Common adjustments to income include contributions to traditional IRAs, student loan interest, the tuition and fees deduction, alimony paid and the educator expense deduction. But some of these deductions have additional qualifications that you must meet before can claim them or caps on the maximum amount you can deduct each year. For example, contributions to traditional IRAs, up to the annual contribution limit, can usually be deducted as a tax write-off. However, if you or your spouse is eligible to contribute to an employer-sponsored retirement plan, like a 401(k) plan or 403(b) plan, you can’t deduct your contribution if your modified adjusted gross income exceeds the annual limits for your filing status. For 2018, if you are single and covered by an employer plan, you can write off your full contribution if your modified adjusted gross income is under $63,000. If it’s between $63,000 and $73,000, your deduction starts to phase out, and once your modified adjusted gross income exceeds $73,000, you can’t deduct any of your contribution. For couples, if you are the covered spouse, you can deduct all of your contribution if your modified adjusted gross income is under $101,000. The deduction phases out when your modified adjusted gross income is between $101,000 and $121,000 and is no longer available when your modified adjusted gross income exceeds $121,000. The student loan interest deduction also has caps on the maximum amount you can write of as well as how high your income can be to still be eligible. For 2018, you can’t deduct more than $2,500 of student loan interest. But you’re not allowed to claim the deduction if you use the married filing separately tax status or if you can be claimed as a dependent on someone else’s income tax return. Finally, the educator expenses deduction allows certain education professionals to write off up to $250 of their unreimbursed job expenses such as continuing education courses or books and supplies for their classroom. To qualify as an eligible educator, you must be a kindergarten through 12th-grade teacher, instructor, counselor, aid or principal for at least 900 hours per school year in an elementary or secondary school. If both you and your spouse are eligible educators, you can each write off up to $250 for a total deduction of $500. Itemized deductions are less favorable because you have to claim them instead of claiming the standard deduction. The big-ticket itemized deductions for most people include state and local income or sales taxes, real estate and other property taxes, charitable contributions and medical expenses. It can be challenging to qualify for the medical expenses deduction because you’re only allowed to deduct the portion of your medical expenses that exceed 7.5 percent of your adjusted gross income. For example, if your adjusted gross income is $71,000, the first $5,325 of your medical expenses isn’t deductible. So, if you had $6,000 of qualifying medical expenses, you’re limited to only deducting $675 on your taxes. Qualifying medical expenses include visits to the doctor, dentist or optometrist, prescription drugs and the cost of treatments like surgery or therapy, but not elective cosmetic surgery or any costs that are reimbursed by your insurance company. Charitable contributions to qualified organizations can also reduce your income taxes as a tax write-off so not only are you doing good for your community, but you’re also lowering your tax bill. One of the best ways to maximize the deduction is to donate appreciated stock that you’ve owned for more than one year to a charity. When you do, you get to claim a tax write-off for the full fair market value of the stock you donate and you never have to pay income taxes on those capital gains. However, you can’t include everything nice that you do for others. Contributions that you give directly to individuals – no matter how worthy or in need of assistance – can’t be written off. You’re also not permitted to claim a deduction for the value of your time, no matter how valuable the skills you perform. For example, if you’re a doctor and you volunteer at a nonprofit hospital, even if you would normally be paid $10,000 for your services, you don’t get a tax deduction. The Tax Cuts and Jobs Act made several significant changes to the tax write-offs available to taxpayers as of 2018. For example, the moving expenses deduction has been eliminated except for military personnel, so you can’t write off those expenses anymore. On the itemized deduction side, you’re now limited to deducting a maximum of $10,000 of state and local income taxes each year. If you’re married but file separately, the limit is reduced to a maximum of $5,000 each. This includes all state and local income taxes, property and real estate taxes, and sales taxes. In addition, the maximum mortgage amount that you can deduct the interest on is cut to $750,000. The old $1 million limit still applies to mortgages taken out prior to December 15, 2017. Also, you cannot deduct interest on a home equity loan unless it is used for home improvements. Prior to the Tax Cuts and Jobs Act, you could deduct the interest on up to $100,000 of home equity debt no matter how you used the loan proceeds. Finally, the deduction for miscellaneous expenses subject to the 2 percent of adjusted gross income threshold has been eliminated. Previously, you were allowed to deduct certain expenses including unreimbursed employee expenses, union dues, tax preparation fees, investment fees and gambling losses to the extent that the total of those expenses exceeded 2 percent of your adjusted gross income. The value of a tax deduction depends on your income tax bracket because the tax deduction only reduces your taxable income. This does, indirectly, reduce the amount of tax you owe, but your savings depend on the tax rate you pay. To calculate your savings, multiply your marginal tax rate by the amount of the deduction to calculate your savings. Your marginal tax rate is the rate of tax you would have paid on the amount of the deduction. For example, say you fall in the 24 percent tax bracket and are entitled to claim a $1,000 tax deduction for student loan interest. To determine how much that will save you, multiply $1,000 by 24 percent to find it will save you $240 on your tax bill. If you were in the 10 percent tax bracket, it would only save you $100, but if you were in the highest tax bracket, 37 percent, it would save you $370. If you just barely squeak into a higher tax bracket, it’s possible two different income tax rates will apply to the amount saved by your tax deduction. For example, in 2018, if you’re single, the 12 percent tax bracket applies to taxable income between $9,525 and $38,700. Income between $38,700 and $82,500 is taxed at 22 percent. So, if your taxable income would be $40,700, but you have a $3,000 tax deduction, the first $2,000 (the amount over $38,700) would be taxed at 22 percent and the last $1,000 would be taxed at 12 percent if you didn’t have the credit. So, to calculate your tax savings, multiply $2,000 by 22 percent to get $220, multiply $1,000 by 12 percent to get $120, and add $220 plus $120 to find the $3,000 deduction saves you a total of $340 on your tax return. Pretax deductions are expenses that are taken out of your paycheck and qualify to be excluded from your taxable income altogether. For example, contributions you make to your traditional 401(k) plan are taken from your paycheck and when your taxable income is reported at the end of the year, it doesn’t include the amount of your contributions. The savings are the same because both reduce your taxable income, but they function differently because pretax deductions aren’t included in your taxable income, to begin with, so they aren’t reported on your income tax return as a deduction. For example, if you contribute $4,000 of your $61,000 salary to your 401(k) plan, you only report $57,000 of taxable income on your tax return and don’t claim an income tax deduction for the contributions. Tax deductions work differently than tax credits. With a tax credit, the amount of the credit directly reduces the amount of tax you owe, rather than a deduction, which only reduces your taxable income. For example, a $1,000 tax credit reduces your tax bill by the full $1,000, regardless of what tax bracket you fall in. Tax credits can be either refundable or nonrefundable. Nonrefundable tax credits cannot reduce your tax liability below $0. If it would, the tax credit is effectively wasted. For example, say your total tax liability for the year is $800. If you qualify for a nonrefundable tax credit worth $1,000, your tax liability is reduced to $0, but the last $200 of the tax credit is wasted. If, on the other hand, the tax credit is refundable, you would not only reduce your tax liability to $0, you would receive a $200 payment from the government refunding the difference.